Universal CityWalk Orlando is a dining, entertainment, and shopping district located just outside the gates of Universal Orlando's theme parks, Universal Studios Florida and Islands of Adventure. Admission to CityWalk is free. However, there are a few clubs that have modest cover charges for guests who are not staying at a Universal on-site hotel. A lot of Universal Orlando guests eat their meals in the theme parks, but the restaurants in the adjacent CityWalk area serve better food for a similar price. We've provided comprehensive profiles of each dining option so that you can learn about menus, meal prices, and dining discounts at CityWalk restaurants. Antojitos serves authentic Mexican food and beverages. A mariachi band performs during the dinner hour on most nights. 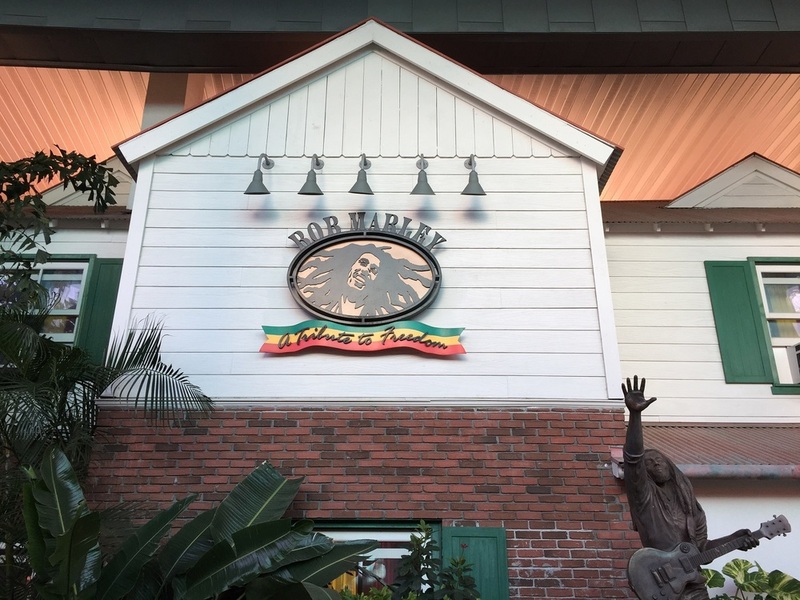 Bob Marley - A Tribute to Freedom serves Jamaican cuisine. A DJ or a live reggae band performs nightly. Emeril's Restaurant Orlando serves Creole-based dishes for lunch and dinner in a fine dining setting. NBC Sports Grill and Brew has an extensive food menu, more than 100 different beers, and televised sports on 100+ TVs. The Hard Rock Cafe in Orlando is the world's largest Hard Rock Cafe. This restaurant is open for breakfast, lunch, and dinner. Bubba Gump Shrimp Co. serves a range of seafood. The restaurant was inspired by the Forrest Gump movie. Vivo Italian Kitchen creates Old World Italian food in an Open Expo Kitchen. Red Oven Pizza Bakery cooks pizza in just two minutes in a 900 degree pizza oven. Pat O'Brien's has signature drinks, Louisiana-style cuisine, and dueling pianos. The Cowfish is a sushi burger bar with unique food and drink offerings. Jimmy Buffett's Margaritaville has three bars, Floribbean cuisine, and live music nightly. The Lone Palm Airport is an outdoor tiki bar that sits next to Jimmy Buffett's personal seaplane. CityWalk's Hot Dog Hall of Fame serves iconic hot dogs, bratwursts, and sausages from famous ballparks. The Top of the Walk Food Court has a variety of fast food options, including Moe's, Panda Express, and BK Whopper Bar. Cold Stone Creamery serves ice cream with all kinds of mix-in options, smoothies, shakes, and other frozen treats. 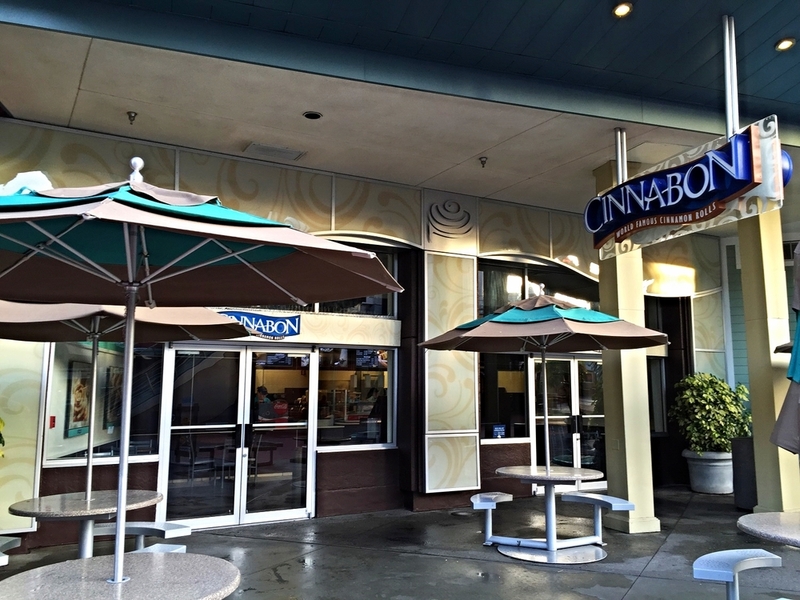 Cinnabon serves signature cinnamon rolls, coffee, and other hand-held breakfast items and snacks. Fat Tuesday is a walk-up counter that serves a wide range of frozen drinks. Starbucks serves coffee, lattes, cappuccino, tea, hot chocolate, snacks, and sandwiches. See this CityWalk food price cheat sheet to find out how much you can expect to pay for lunch and dinner at all of the major restaurants in CityWalk. From concerts and nightclubs to movies and miniature golf, there are lots of things you can do for fun in Universal CityWalk Orlando. The AMC Universal Cineplex 20 with IMAX has 20 theaters with state-of-the-art sound systems and projection equipment. The Blue Man Group is multi-sensory performance with music, dance, comedy, paint, and other creative elements. CityWalk's Rising Star is a karaoke club that lets guests perform with a live band and backup singers. Hard Rock Live hosts concerts, comedy shows, awards ceremonies, beauty pageants, competitions, and other special ticketed events. The Red Coconut Club is a dance club with live music and a nightly DJ. The club serves drinks and appetizers. The Groove is a multi-level dance club with several themed areas and seven full-service bars. Hollywood Drive-In Golf is a miniature golf course with two drive-in movie-themed courses: The Haunting of Ghostly Greens and Invaders From Planet Putt. Universal CityWalk has a shopping promenade with eight unique stores, including a tattoo shop that's home to some of the country's best tattoo artists. Fossil sells designer watches, metal and leather wristbands, belts, bags, wallets, and sunglasses. The Island Clothing Store sells casual clothing, including sportswear and swimwear. P!Q sells art, designer toys and collectibles, books, games, activity kits, and household goods. The Universal Studios Store sells theme park merchandise and items with the Universal logo. Fresh Produce sells clothing, particularly resort and cruise wear, for women and children. The Quiet Flight Surf Shop sells surf boards, skateboards, and related accessories. Hart and Huntington Tattoo Company is a tattoo shop and store with art, apparel, and more.